Four players with more than 55 years of professional experience made up the final day lead card at the 2018 PDGA Professional World Championship. Among them, they’ve each had their share of big wins, but maybe more so, they shared a history of close calls at Pro Worlds and PDGA Majors, just missing those career-defining victories by a few strokes. As the Open Women’s division had earlier in the day announced its own first-time winner, the feeling in the air wasn’t only the crisp Vermont fall settling over Smugglers’ Notch Resort, it was cosmic intervention. Indeed, it was Brasby’s time. The long-time pro out of Northern California held off all challengers to take his first career PDGA Pro World Championship — his first career PDGA Major win. It was a long road for Barsby to reach the top, winning a world title in his 16th time competing at a PDGA Worlds — 14 times as a professional, and twice as a junior at the PDGA’s Amateur World Championship. Barsby carried a slim lead going into the final two days but the grasp was tenuous at best. Heading into Sunday’s final round just two strokes separated him and James Conrad, Josh Anthon, and Paul Ulibarri as they teed off at Fox Run Meadows on Sunday. And on the chase card, two other contenders weren’t out of it yet either: Paul McBeth and Matt Orum, both of whom are no strangers to competing on the sport’s biggest stages. Orum has performed well at Worlds before. He finished second in 2005, had a podium place in 2009, and another top five in 2008, to go along with countless top 10s. And then there was the whole Paul McBeth problem. The four-time World Champ started five behind Barsby, but if there’s anyone who loves a final round chase it’s McBeast. Orum and McBeth both started hot, 4-under and 5-under par respectively through six holes. On the par 5 7th, after McBeth cleaned up an easy birdie to move to 6-under par, it was apparent that chase card would be hanging around. With the leaders playing about four holes behind all day, we’d have a game of cat and mouse on who would take ownership of the top position. Just as fast as McBeth got hot, his putter began to fail him. His drives and approaches were giving him chances to score, albeit not always close or clear ones, but his Aviars would not stay up. McBeth would card only one birdie between holes 8 and 15, although he would draw metal on nearly every single birdie attempt. During the same stretch, Orum shook off a double bogey on hole 7 to record six birdies to catch and ultimately surpass McBeth on the leaderboard. And because of that move both men were at points late in the round, tied for the lead with Barsby and Anthon. Orum finished the day with a 56-percent birdie rate, tied with Anthon for third best in the field. The chase card first caught Barsby as they left hole 11 after Barsby had just notched a bogey on hole 7. Even with the extra frames in hand, no one on the lead card was making the move necessary to win a world championship. Up to that point, Conrad, like Barsby, was only 1-under par. Anthon had birdied the first five holes but bogeyed holes 6 and 7, and Paul Ulibarri was even par. Anthon would pick up another bogey on hole 9 and go on a birdie drought until hole 12. Barsby would retake control with birdies on holes 10 and 11. At around the same time, McBeth would realize his cardmate had moved past him by two strokes and that he was again looking at other players’ backs. A drive up to the top of the last crest on hole 16’s fairway gave McBeth a clear look at the basket from 300 feet or so. His approach skipped into Circle 1 for a routine birdie as Matt Orum was left scrambling for par. A similar result played out on hole 17 as McBeth’s birdie tied him with Barsby in the lead at 39-under par while Orum was left with a Circle 2 putt which wouldn’t fall. His par would keep him also tied in first at 39-under par. By now Barsby and Anthon were neck and neck and had made the turn back across the road to hole 13 as the second card was getting ready to tee on hole 18. Needing to keep the pressure on the top card, McBeth and Orum were aggressive on hole 18’s drive. McBeth first throws his hyzer too high, yet not high enough to spike into the dirt. He skips OB left side. Orum, possibly overcorrecting, hangs his too far out right, never coming back in bounds. He has to re-tee and ends up carding a triple bogey, ending his day at 5-under par 58 for a 36-under par 275 total and fifth place finish. McBeth would get up and down for a par to stay at 39-under par 272 total after the 1059-rated 9-under par 54 final round. With McBeth in the clubhouse with a share of the lead, Barsby had to find a birdie on the final five holes and hold off Anthon. 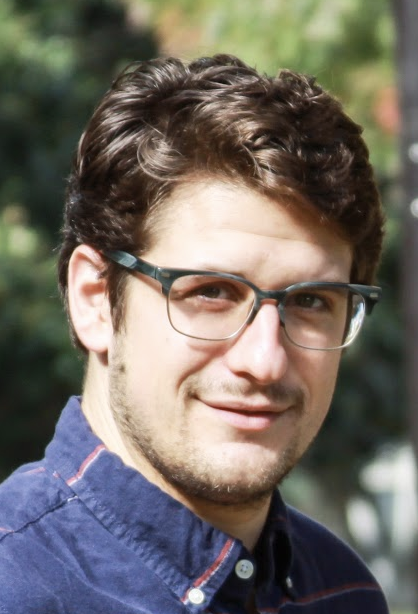 At this point, Ulibarri had also brought it back within striking distance as he started getting his drives and approaches in position to score; his putter had been rolling all day, 100-percent from Circle 1 on the round. Barsby would two-putt holes 13 and 16 but a birdie on hole 15 had given him the outright lead at 40-under par. Anthon used two outside the circle birdies on holes 14 and 15, and another right inside 30 feet on the 16th to pull tied with McBeth, one stroke back. As Anthon stepped up to the blind tee shot on hole 17, he felt good. And out of his hand, he knew his disc was going to the right place. His drive hit inside the circle, but instead of settling in the grass, pops up and slowly rolls down the slope left of the pin and goes OB. Barsby steps up, and throwing almost the exact same line as Anthon, has his disc hit inside the circle on the left side. But his sits down just feet from the initial touch. Anthon would miss his par save, and Barsby drilled his birdie for the two-stroke advantage. A two-stroke lead on hole 18 meant all Barsby needed was a clean drive and he could chip his way up for a win. 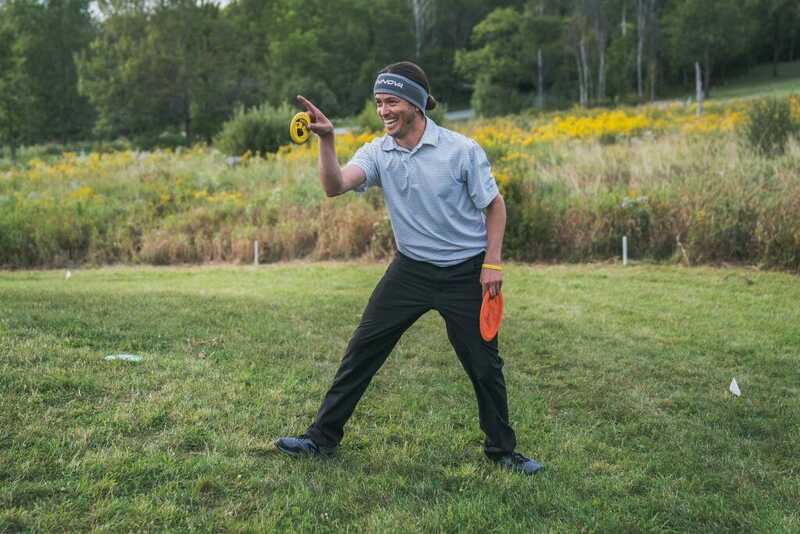 He may have tested the OB line left, but Barsby finished clean and was able to walk down the fairway toward tournament central knowing he was the 2018 world champion. Anthon would birdie hole 18 to get back to 39-under par 272 total and a tie for second place with McBeth. It was Anthon’s fourth career second-place finish at Pro Worlds, and McBeth’s third consecutive. Ulibarri finished at 38-under par 273 total, good for fourth. 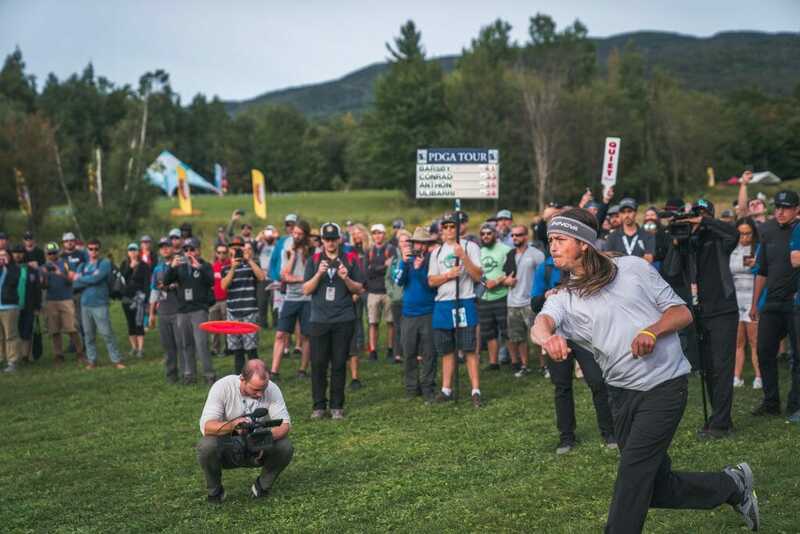 It was Barsby’s first PDGA Major win and given his near two decades in the sport he knows how important support can be to get over the hump to take a career-defining win like this one, especially with competition as strong as this Worlds field. Comments on "Barsby Feeds Off Energy To Take Pro Worlds"